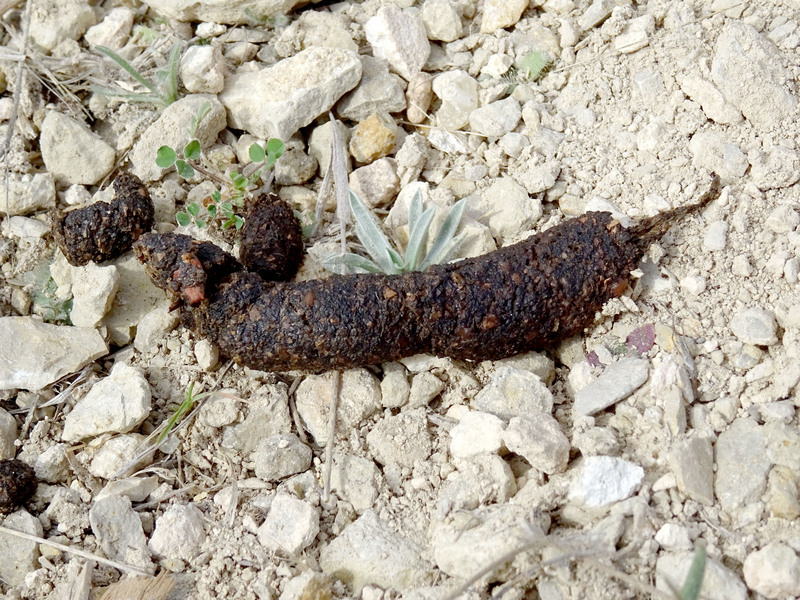 Skunk poop is typically irregular and dark. It would be the size of poop from a small dog, but much less uniform. When you see the first sign of predator poop on your property you must take immediate action to eliminate the predator.